Much safer than smoking. 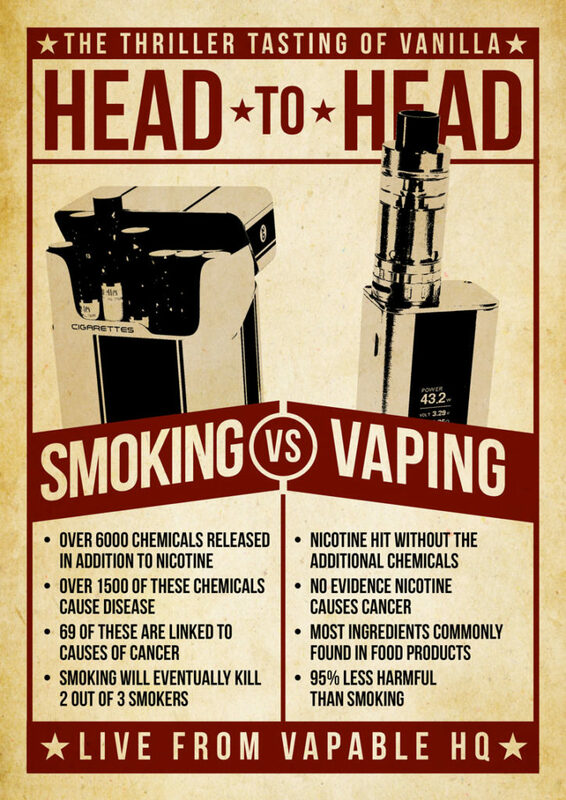 Vaping is a much safer alternative to smoking, having 95% less risk. The two main ingredients in tobacco which cause health problems and premature death are tar and carbon monoxide-neither of these things are present in e-cig vapour. No second hand smoke. Following on from the last point, because vapour does not contain tar or carbon monoxide, it is risk-free for those around you. This makes the danger of second hand smoke to your family and friends a thing of the past. Fewer chemicals. E-cigarette vapour contains vastly fewer chemicals than cigarette smoke and even then, they are in such tiny quantities that they are unlikely to cause harm. Levels of toxic chemicals in vapour have been consistently shown to be anything from tens to hundreds right up to thousands of times lower than in cigarette smoke. Feel healthier As well as cutting your risk of cancer, you will also find that within 24 hours of quitting tobacco you lower your risk of having a heart attack and will feel less anxious. Within just a few weeks, your lung function, sense of taste and circulation will all go back to normal too. Although you might not yet be fit enough to run a marathon, you will be coughing a lot less and you will feel physically better. Much cheaper than smoking. At the time of writing this, the cost of a 20 pack of Marlboro is £10. For a 20 a day smoker, this works out at over £300 a month or £3650 per year. Compared to smoking, vaping is incredibly cheap. 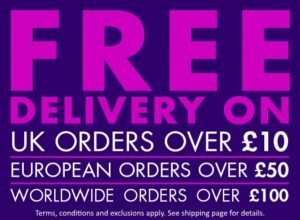 There is an initial outlay of £14.99-£44.99 for your starter kit but from then on you’ll just need to buy e-liquid and replacement parts when you need them. This would probably amount to £5 per week, £20 per month or £260 per year. Many vapers save even more money by mixing their own e-liquid, which can dramatically bring their costs down even further. Amazing flavours. In the UK, cigarette smokers no longer have a choice; tobacco is the only option since menthol was banned. Thousands of different e-liquid flavours mean that e-cig users can enjoy their nicotine in combination with a host of delicious and unusual flavourings. Whether you prefer fruity tastes, cocktail flavours or dessert-like treats, there are options to suit every preference and if you want something a bit more traditional, there are even some classic tobacco or menthol flavours. Senses of taste and smell return. Smoking tobacco cigarettes dramatically reduces your sense of smell. When you switch to electronic cigarettes, you’ll find your sense of smell returning. A whole new world of aromas opens up, with pleasurable scents that you may have long forgotten. The bitter, acrid smoke from tobacco limits your sense of taste, too. Your favourite foods may taste completely different and become even more delicious than you previously thought. Prepare to enjoy a new world of sensory delights when you switch to electronic cigarettes. No more smelly clothes and environment. Following on from the previous point, you will begin to notice the smell of smokers. It lingers on everything from clothing to furniture. You can recognize a smoker as soon as you give them a hug, step into their home or get in their car. The stale tobacco smell is pervasive and long-lasting. E-cig vapour just leaves a pleasant smell, which dissipates quickly. Beat the smoking ban. Since July 2007, there have been laws which ban smoking in pubs, bars and clubs, but it isn’t actually against the law to vape anywhere in the UK, so technically you don’t need to go outside with the smokers. Do check with staff before you start vaping in bars or other public settings though- although you may be allowed to legally vape indoors, this ultimately falls down to whether the management allow it in their establishment. No more social stigma. Smoking has a huge social stigma attached to it these days because many years of campaigning by anti-smoking groups have been successful in painting smokers as weak-willed, selfish and dirty people in the public’s mind. Switching to vaping will increase your self-esteem and make you feel psychologically better too. No more ashtrays. Because an e-cig doesn’t burn anything, there is no ash. You can get rid of your smelly overflowing ash-tray and you will never again have to sweep up the layer of ash from your floor, making your home cleaner and tidier. Online vaping communities. Ever heard about an online community where its members are all dedicated to discussing the latest in NRT and nicotine patches? No, because as far as I know it has never existed. One of the enjoyable aspects of vaping lies in the tremendous amount of help and support available to new and experienced vapers through vaping forums. The members genuinely want to help out newcomers to vaping in any way they can and vaping community members are the friendliest that I have ever come across.